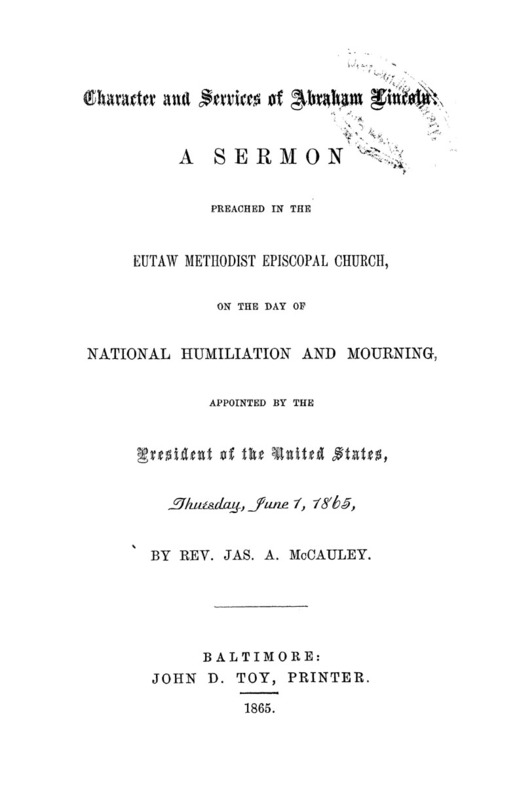 A sermon preached by Rev. Jas. A. McCauley in the Eutaw Methodist Episcopal Church.